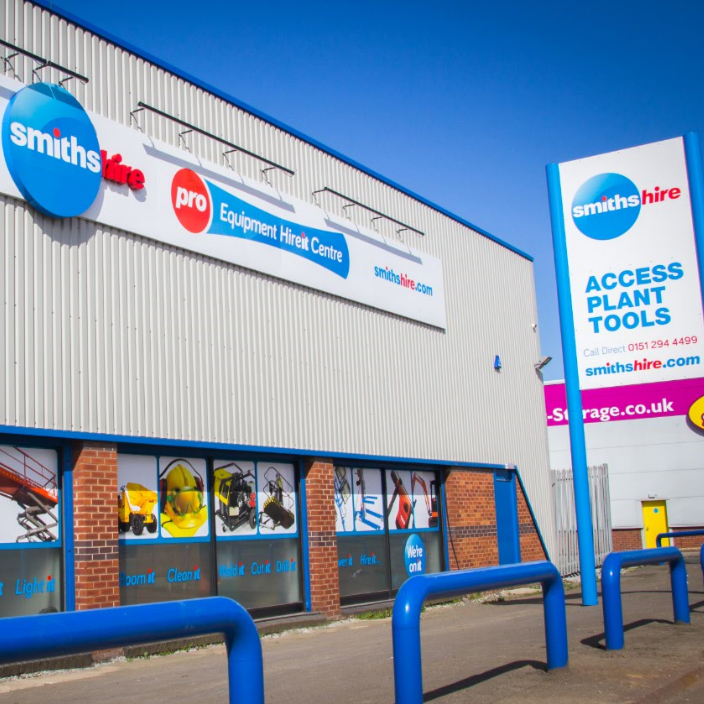 Smiths Hire have been providing equipment and tool hire to the industry for over 40 years. It’s this experience and accumulated knowledge that enables us to supply not only a fantastic array of tools, but also allows us to offer an unparalleled service ensuring that you only hire the perfect tool for the job. At Smiths Hire, we believe in high quality service and pride ourselves on offering a level of service that separates us from our competition. Smiths Hire specialise in ‘Powered Access’ and have over 400 top end machines available for hire, from Hinowa Spiders to Electric Scissors to Articulated 26m Booms, we’ve got it covered. With over 40 years of experience, our approach to being the best hire company possible has been honed and perfected over time. We realise that in order to be good at what we do, our priority has to be helping you be the best at what you do. With experience, comes knowledge and our host of equipment experts are on hand 6 days a week to help you plan your hire requirements accurately and with zero hassle. Our friendly specialists are here to help ensure you get the right tool for the job as well as give advice on best practice, training and any health and safety legislation you may need to know about. All equipment goes through a stringent process of testing before we allow it to leave the depot ensuring our equipment works first time every time. Expert product advice via our ‘Service 4’ central hire and depot teams. Ongoing Investment in the very latest equipment & tools and should you need something ‘SPECIAL’ we can source it. Your Top Fifty Hires always available on fleet. We understand that time is a precious commodity, especially in the industries we supply to. With tight deadlines and numerous project management aspects, getting your hire on time is important. Plus when a customer really needs it we offer Same Day Delivery to help ease any potential time related stress you may have. Vehicle Tracking and delivery text support providing customers with accurate delivery timelines. On-site Repair or Replace – No hassle approach to getting your team working again. Alongside our ‘Service 4 Central Hire Team’ we offer customers a dedicated account manager, both on the end of the phone and onsite. Clear, concise reporting allows you to keep up to date with your live hires and our regular e-shot will keep you in the know on new products and industry news. Tailor-made consultancy services – to suit individual customer needs. Live Hire online reporting via MYHire. Mobile friendly website designed to ensure you can access important product spec/videos whilst you are on the move on-site. We also offer training, meaning Smiths Hire is your all-in-one for both equipment and the necessary certifications to use it. Value is driven through everything we do, with long term hire options, advance booking discounts and affordable loss and damage cover we offer a huge amount of value to sit alongside our experience and service. Every year, we invest a huge amount of our operational profit into buying the newest, most cutting edge equipment meaning that when you hire from us you know you’re getting the best possible kit for the job, rather than paying for older, less effective gear. Over £5 million invested in new equipment over the last two years. Our detailed four pronged approach to hire is what we believe sets us apart. And our long list of big name customers that repeatedly put their trust in us shows that our service driven ethic is working for both you the customer and for ourselves. View the ‘Our Customers’ page for a sample of the companies we work with. Or to find out more about the company’s history Click Here.